Domicile has done very well with its newest development on Main street. 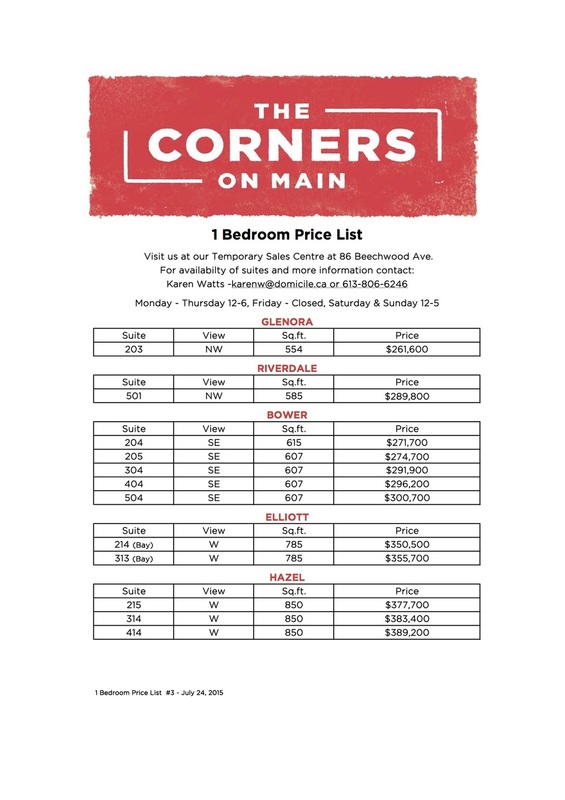 Corners on Main Phase One is now fully sold out. Located at 11 des Oblats Avenue, phase one consisted of 74 suites. Located next door, Phase two is 70% sold out and still under construction. Located at 166 Main Street, the building has 64 units in total with sizes that range from 346 to 1552 square feet. Prices range from $209,100 to over $741,500 depending on size, floor, view. Occupancy is set for Spring of 2019. All units include parking in the price (except for the Pied a Terre Suites or the Willard/Rosedale/Sloan/Marco floorplans). Monthly condo fees are estimated at 42 cents per square foot, and an additional $33/month per parking spot. Looking for more information on pre-construction condos in Ottawa? Fill out the form at the bottom of the page. Domicile has had great success with The Corners On Main project, especially with phase one and now with Phase two. Located just in front of phase one, at 141 Main Street, The Corners On Main phase two is a six-story 64 unit building that is currently at 50% sold out. Prices currently range from $208,600 (Williard floorplan - 346sqft) up to $771,000 (Hopewell floorplan - 1552sqft). All units include parking in the price (except for the Pied a Terre Suites or the Willard/Rosedale/Sloan/Marco floorplans). Monthly condo fees are estimated at 42 cents per square foot, and an additional $33/month per parking spot. Construction is well underway with crews currently building out of the ground. Occupancy is set for Summer of 2019. A favorite floorplan of many is the Bellwood - a 1195sqft two bedroom, two bathrooms, with north facing views. It is a generous floorplan with an open concept feel and large second private balcony off the master bedroom. The Bellwood is still available on the 2nd, 3rd, and 4th floors - keep in mind the 2nd floor has a terrace instead of a balcony. Ranging from $635,200 up to $655,000 depending on the floor. 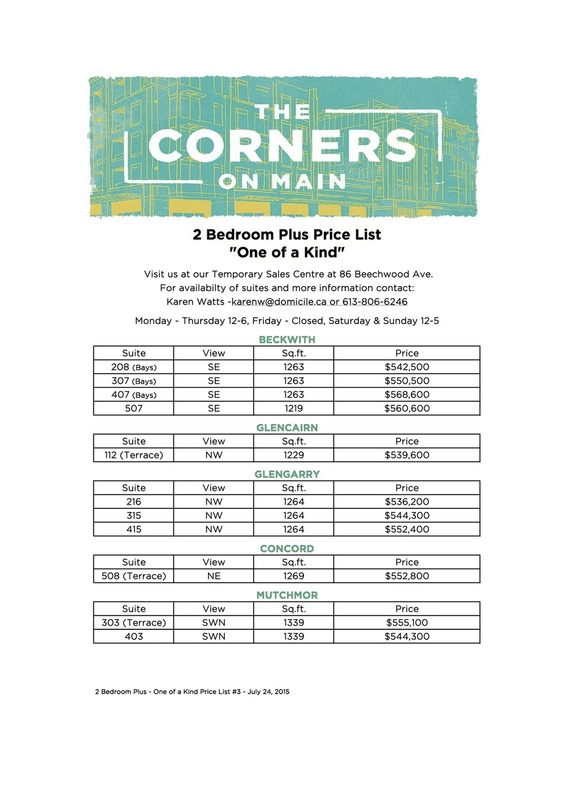 For more information about The Corners On Main including updated price list and floorplans, or if you have questions about the Ottawa condo market, fill out the form below. 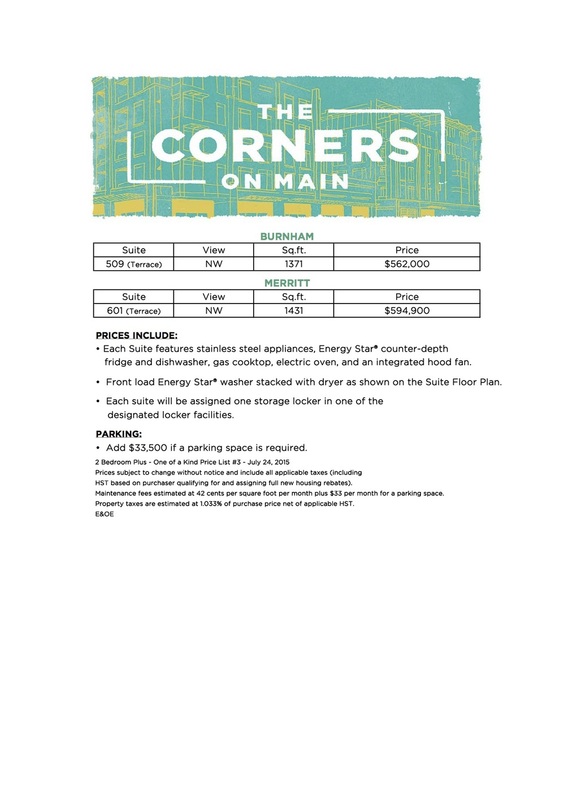 Domicile has announced the date for The Corners On Main phase two release! Official launch is set for Saturday November 19th from 12-5pm at the sales center at 223 Main Street . There is a model suite that you will be able to tour as well. 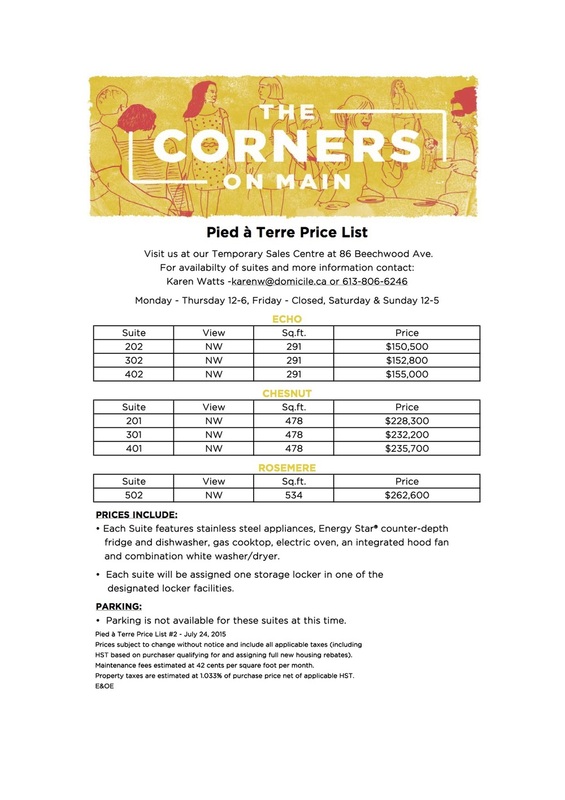 For more information about The Corners On Main or about being part of opening day, fill out the form below.